It’s very hip these days to throw an egg on most everything. Traveling through Southeast Asia in my twenties, was my first experience in seeing eggs on top of fried rice and noodle dishes. I once ordered soup and they had floated a hard-boiled egg right in the middle. In that region of the world, it seemed to be out of necessity. Most Malaysians and Indonesians eat noodles for breakfast, and white rice for lunch and dinner. They don’t get a lot of meat. Most of the chickens they slaughter are past their prime, not the three month old plump ones we raise here in this country. To kill a chicken that young would be wasteful to them, because the chicken can lays eggs. The older chickens they eat are boiled for stock, and the small amount of meat is cut up and used almost like a garnish. They don’t waste any of it, either. The head, neck, and feet are eaten as well. So, whenever possible, they throw an egg on it. Perhaps that’s where the recent trend here in the US has come from. Southeast Asian food is very trendy these days. Throwing an egg on top of it, however, has become a sign of excess, or gluttony. Which the latter also seems to be a trend lately. Order a burger with cheese and bacon, and why not fry an egg and throw it on top? Pizza, crack an egg right in the center before cooking, and have all that eggy goodness ooze out when you slice it. Somehow eggs got a bad rap back in the 80’s and 90’s. Remember back when all fat was bad, and margarine and Snackwell cookies were good for us? Trans fats were unknown, and cholesterol was evil. Eggs are actually quite good. Cholesterol comes in good and bad forms nowadays, and eggs contain both. They are full of protein and low in calories. One hard-boiled egg is about 78 calories and 6 grams of protein. Sure, they contain cholesterol, but as long as you don’t have issues, two eggs a day is perfectly fine. Dr. John Berardi, Ph.D, and founder of Precision Nutrition, says, “Unless you have diabetes, or a rare genetic disorder (Familial Hypercholestorolemia), eating a few eggs every day is not bad for you.” If you are still scared of the cholesterol levels, then bypass the yolks, or have one egg with yolks and two egg whites. Egg whites are cholesterol free! There are so many great local farms around raising superb eggs fresh out of the hen house and into your kitchen these days. Besides, eggs are about the coolest food out there. What other food transforms in cooking quite the way an egg does? Meat maybe? Not really. No, eggs are way cooler. Think of what cookies or quick breads would be without eggs. Shortbread is good, but where would the chocolate chip cookie be without our friend, the egg? Have you ever made a meringue? Now that’s some cool stuff. It’s the base of most light and fluffy cakes. Think Angel Food. That’s a cake that is basically egg whites and sugar with a bit of flour sprinkled in. I’m not saying that it’s a bad thing to throw an egg on top of your burger, or your pizza, or your burrito, or whatever. When I eat eggs, I like them to be the star. Especially in a clean and healthy eating sense, when I am not treating myself, eggs are a powerful ally. I like having them for my mid-morning snack. 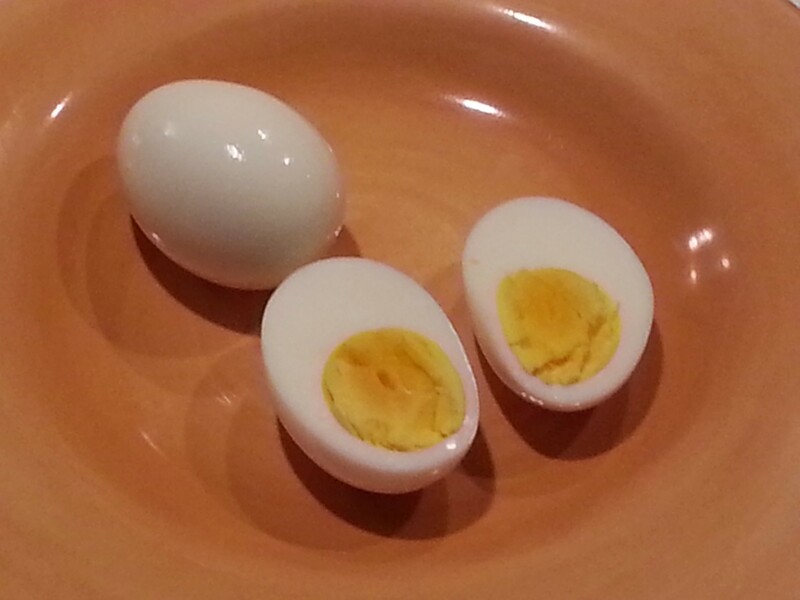 Just two simple hard-boiled eggs with salt and pepper are delightful. Sauté up some kale or some spinach, and scramble some eggs right in. Throw on a little hot sauce, and you got yourself a bona fide low calorie treat. I also like to add them to my lunch or dinners in place of a meat protein. A couple of chopped hard boiled eggs transforms a good spinach, or lettuce, or kale salad. A nice pot of simmering broth with lots of veggies and a soft boiled egg is true comfort. Bring water to the boil. Once it starts to boil, set a timer for 8 minutes. 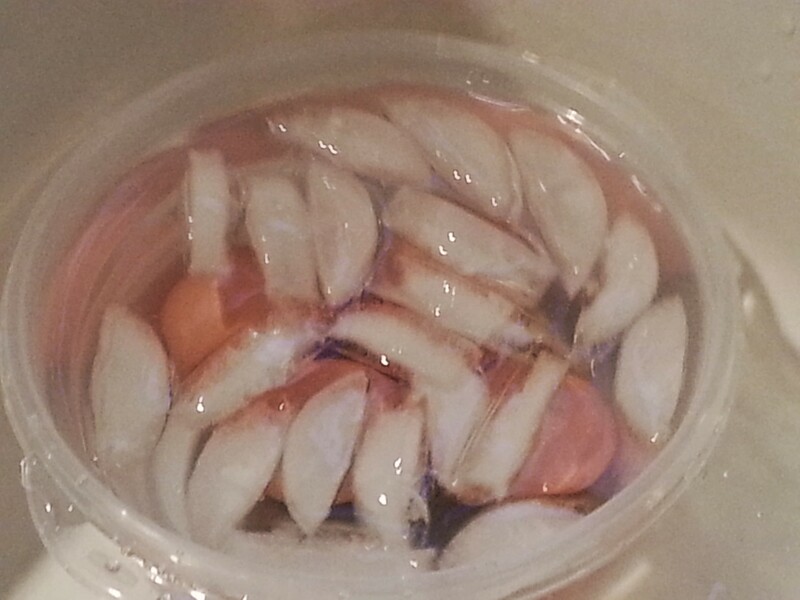 When the timer goes off, immediately plunge the eggs in ice water. Preparation = Success. 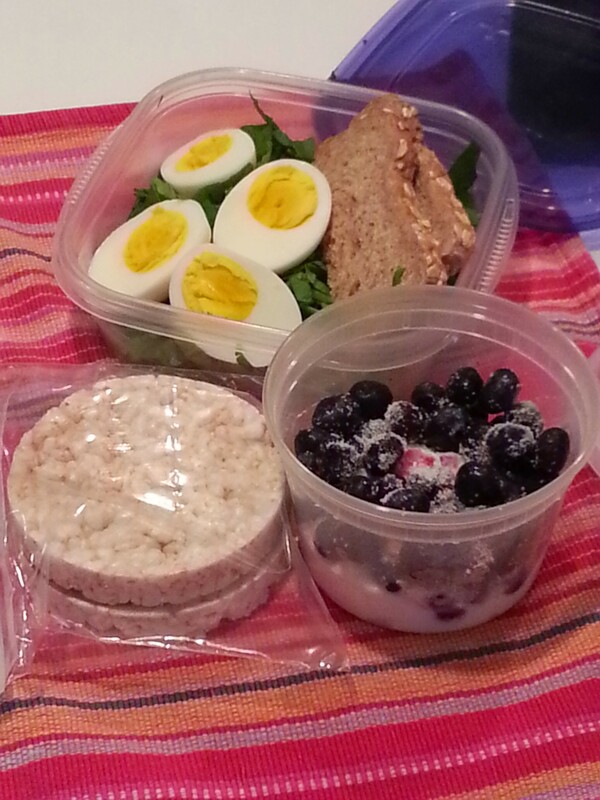 Snacks and lunch for the day. Place eggs in a sauce pan or pot and cover with cold water.Once the water comes to the boil, set a timer for eight minutes. Immediately scoop the eggs out and place them into a bowl of ice water. These eggs are easy to peel and just perfect. 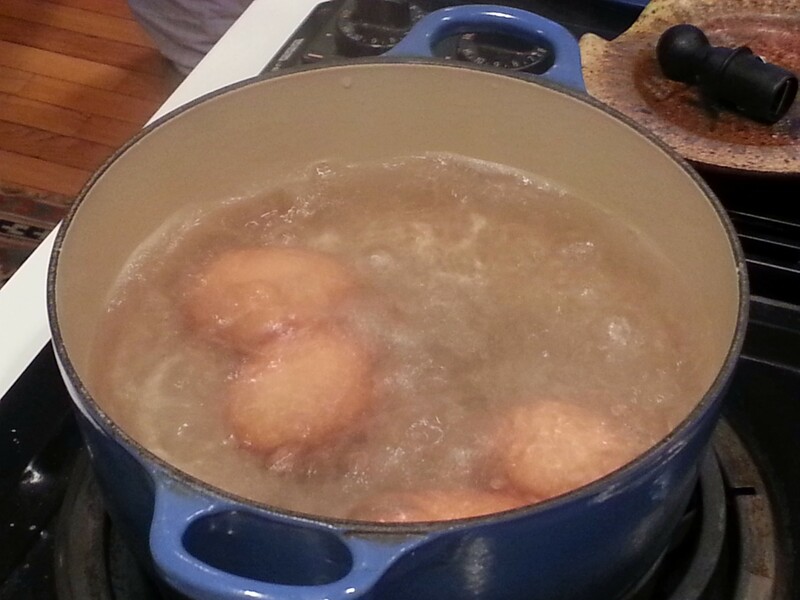 The yolks will be just a bit gooey in the center, but that’s the way I like them. If you would like your eggs cooked through, set your timer for 10 minutes. This entry was posted in chef, clean eating, healthy and wellness and tagged cholesterol, clean eating, hard boiled eggs, soft boiled eggs, southeast asian cuisine on December 12, 2014 by Katie Fiore.